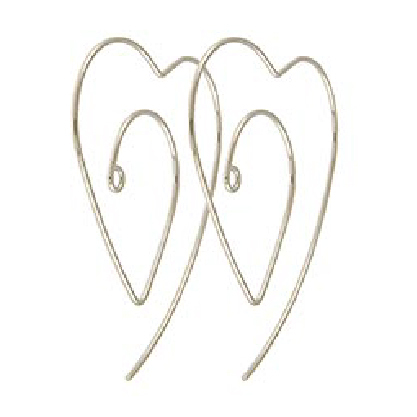 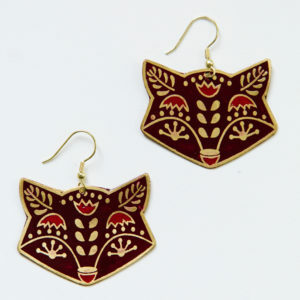 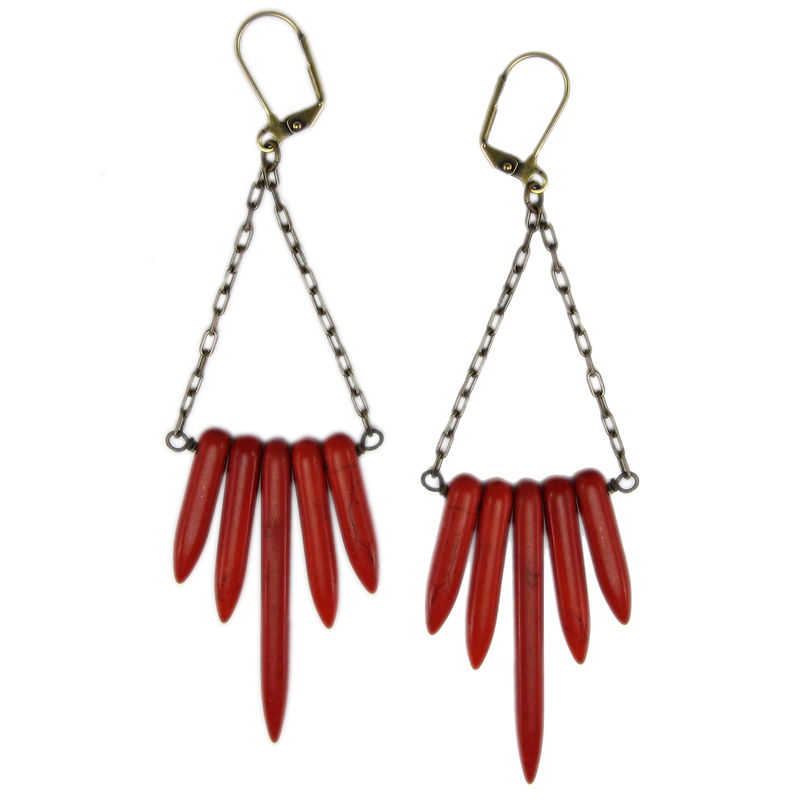 Samira teal earrings are handcrafted in India at a fair trade artisan cooperative. 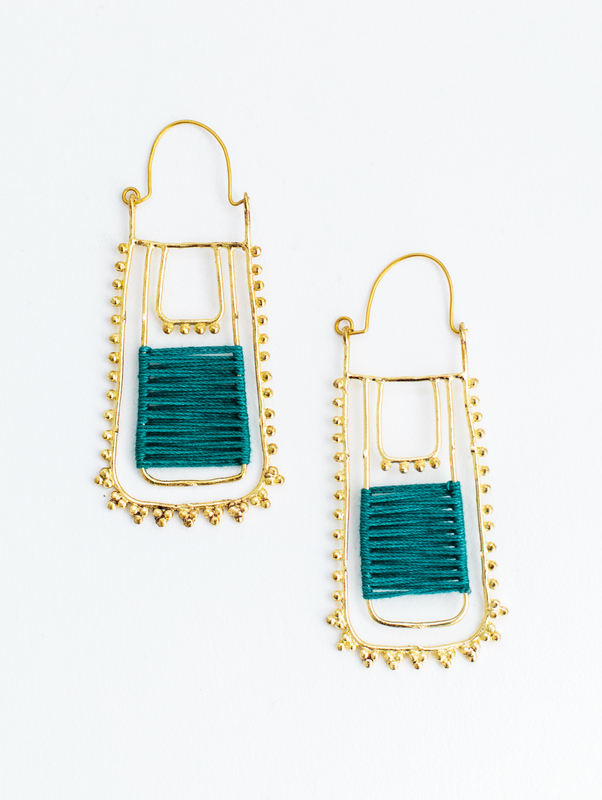 The earrings feature teal cotton thread and goldtone plated brass. 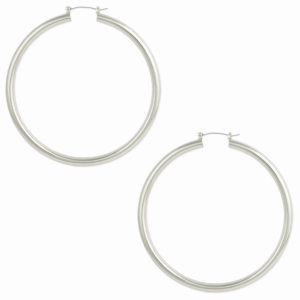 3″ in length.